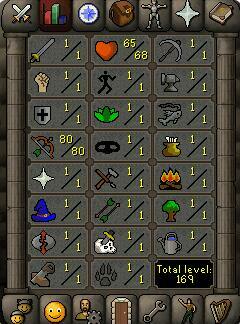 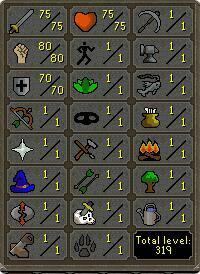 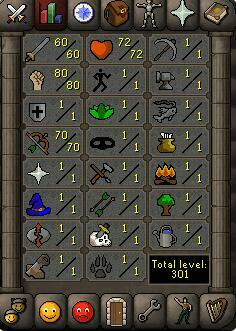 Level88, ATK:75, DEF:75, Herblore:1, MAG:1, PRA:1, RNG:1, Runecrafting:1, Slayer:1, STR:80. 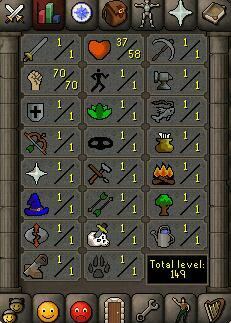 Level57,ATK:40,RNG:70,STR:80.the rest stats lvl are all 1. 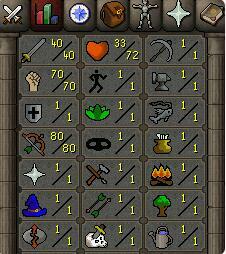 Level57, ATK:40, DEF:1, Herblore:1, MAG:1, PRA:1, RNG:80, Runecrafting:1, Slayer:1, STR:70. 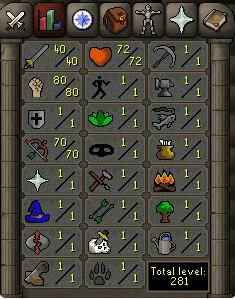 Level56,RNG:80,the rest stats lvl are all 1.